Assist the retail food service industry and government personnel in reaching their full career potentials by providing challenging, interactive and fun food safety and management education. Assist retail food companies in identifying their strengths and weaknesses in order to achieve zero-defect food safety, complete customer satisfaction, and improved productivity by enabling employees to do all tasks correctly the first time. Bob is constantly finding ways to improve processes and reduce costs. Bob started his career with the Washoe County Environmental Health Department, Reno NV in 1981 as a Registered Environmental Health Specialist. He was a founding member of their Hazard Analysis Critical Control Point (HACCP) team. Bob assisted many large hotels in Reno using HACCP principals to improve their food safety and train their staff. He served as a member of the Department of Public Health Epi team to investigate numerous foodborn illness outbreaks. 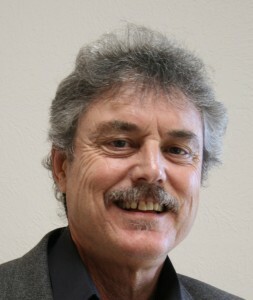 From 1985 to 2011 he held various positions for the County of Sonoma as a Registered Environmental Health Specialist. (R.E.H.S.) He established the HACCP team within the Division of Environmental Health. Trained their staff and food industry professionals in food safety principals. Speaker at the National Environmental Health Association (NEHA) Annual Educational Conference on the topic of implementation of a HACCP program for retail food facilities. ServSafe instructor for Culinary Program, Santa Rosa Junior College. Trainer for the FDA sponsored Retail Food Program Specialist Training Seminars. FDA Region 9, HACCP trainer for retail food inspection specialists. California Environmental Health Association (CEHA) trainer for R.E.H.S.s in program areas of HACCP and food facility plan review. Chair and founder of the Bay Area Food Facility Plan Review Committee. TransCert Sanitary Cold Chain External Auditor Certification – Completion 01/2013, Certificate No. 913. Authorized to conduct external audits to the TransCert audit standards.